At the Palm Academy, we work hard to help you simplify your life. If you have a houseful of kids ranging from infant to school age, then we make sure you only have to make one stop at the beginning of your busy day. We have a fleet of vans and trained drivers who will drive your school aged children to school, and then pick them up at the end of the day and bring them back to the Palm Academy. 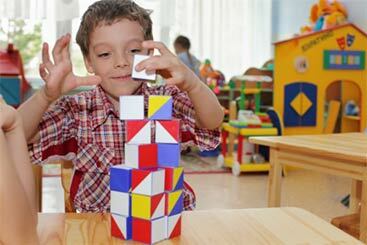 This ensures that you only have one stop you need to make for all of your childcare needs. We are the only facility in all of Fremont and the surrounding area that offers this service. Our school-age enrichment curriculum is provided by the JEI Learning Center and can help your children advance academically, all the way to age 18. We believe that all children have the potential to excel in life, and we use a system that is proven to be effective in helping them learn even the most challenging subjects. JEI teaches kids how to self-study, and it prepares them for a lifetime of academic success. We also offer Abrakadoodle here on campus. This is an award-winning art and creativity program that enables your child to express their individuality in unique, imaginative ways. Each class offers a specific educational experience that will demonstrate artistic techniques and encourage creativity. Many kids find new activities that they enjoy throughout these classes, and everyone loves the fun atmosphere! 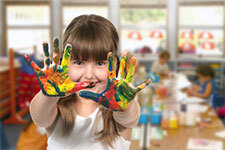 After school programs at Palm Academy are designed to complement the student’s formal education. While they do provide after school child care, they also provide so much more! 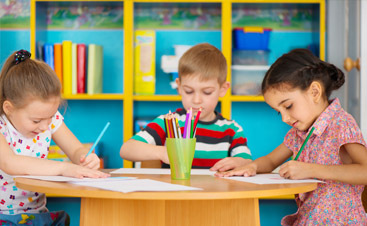 Children receive help with homework, and they are exposed to fun activities designed to extend their abilities in math, language, art, and music, plus games that improve coordination (and are just fun!). We include this mix of activities in our after school programs to provide a balanced education, as well as improve critical thinking, collaborative skills, communication, confidence, and creativity. When students finish their homework and enrichment learning program for the day, they are allowed to stretch their legs and exercise in our courtyard. 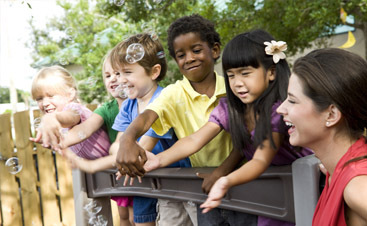 This gives students a chance to develop social skills and have fun at the end of the day. Here at Palm Academy, our staff is dedicated to creating an environment that fosters the learning and growth for students of all ages. Palm Academy has two locations that offer tutoring through enrichment classes, one in Newark and one in Fremont. *Recommended Schedule – Subjects may vary according to the progress and pace of individual students.